The first time homebuyer credit was a wonderful credit that the government decided to provide to people who purchased a home during certain years. The credit allowed such people to receive a tax deduction to help them better their standings.The credit would allow the taxpayers to either get some relief from the taxes they owed or obtain a refund. The program was a part of the Housing and Economic Recovery Act of 2008. In this article, we are going to share additional information on tax credit. 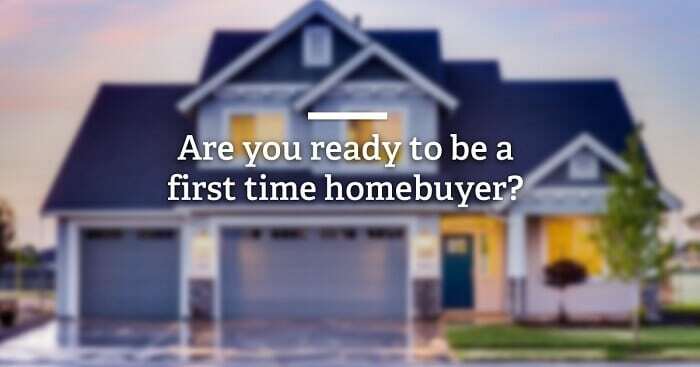 Who Qualified for the First Time Homebuyer Credit? The first time homebuyers credit was for people who were classified as first-time homebuyers. That classification wasn’t restricted to only people who had never before purchased a home. Individuals could also qualify if they had not purchased a primary residence within the past three years of the credit’s time frame. In some cases, home buyers used the funds from the credit as a loan. Many taxpayers were required to repay it. To be eligible for the first time homebuyer credit, the taxpayer had to purchase the home in 2008, 2009 or 2010. The time to take the credit was extended until July of 2011 for people who were in the active military and might not have been able to file for such taxes on time. The people who claimed the credit in 2008 had the ability to claim up to $7,500. The people who claimed it in other years had the ability to claim up to $8,000. Certain persons who purchased their homes in 2009 were only eligible for a maximum of $6,500. Not everyone who applied for the credit received the entire thing. The amount that the person paid for the home had a lot to do with the refund. Taxpayers who wanted to claim the credit had to be within the income limits. The limitations changed in 2009. Taxpayers who made their purchase prior to November 6 of 2009 were restricted to the following: A couple that was filing jointly could not claim the credit if they earned more than $170,000. A single person could not earn more than $95,000 and still claim the credit. The post-November 6, 2009 restrictions were different. Joint married filers could qualify up until they earned $225,000. Single filers could qualify up until they earned $125,000. All single family units qualified the taxpayers for the credit. Mobile homes qualified for the credit, as well. Filers could use travel trailers to qualify as principal residences to get the credit if they were affixed to a piece of land. RVs, however, did not qualify as principal residences and could not qualify anyone for the credit. They did not qualify because they were not affixed to any land and had a built-in motor. Other properties that were not eligible for the credit were vacation homes and rental properties. The property had to belong to the person and be his or her primary place of residence. Another element that would disqualify someone from the credit was if that person was a non-resident alien. People who bought their homes from relatives did not qualify for the credit either. Moreover, taxpayers had to be 18 years of age to qualify for the credit. Minors were barred from it whether they considered themselves to be homeowners or not. How Does One Still Get the First Time Homebuyer Credit? The first time homebuyer credit has been discontinued. Taxpayers can no longer file amended returns if they did not receive the credit when the government was issuing it. However, some taxpayers do still owe money to the IRS for the first time homebuyer credit. Not everyone has to pay it back, but many people do. Taxpayers are encouraged to check the tool on the IRS website to see if they owe money for taking this credit. Additionally, the taxpayers will have a chance to notify the IRS that they took the credit in the past during income tax filing. A “yes” answer to a question about receiving the funds in the past will most likely prompt the IRS to request repayment if the individual is one of the people who has to return the funds. Who Must Repay the First Time Homebuyers Credit? One situation in which the taxpayer would have to pay the credit back is if he or she bought it in 2008 and then sold it to a related party such as a parent or grandparent. Another scenario that would prompt a repayment is one in which the person bought it in one of the three specified years, and then it became condemned for some reason. The monies were supposed to be paid over a span of 15 years. A taxpayer who never got the first time homebuyer’s credit cannot go back and claim it at this time. One only has three years to amend a return. However, taxpayers can take advantage of the many alternative tax deductions and credits that exist for homeowners today. One particular credit that may interest a person is the home energy tax credit. The home energy tax credit issues up to $500 credit for homeowners who conduct upgrades to their air conditioning, heat, water heaters, roofs and the like. Another credit that a homeowner may be interested in is the mortgage interest deduction. Other tax credits that homeowners can look into are credits such as the private mortgage insurance deduction, the home equity line of credit deduction and the non-business energy property credit. They can look into all of these items and get some credits and deductions. Curious taxpayers can use the IRS-provided tool to figure out whether they qualified for the credit. They may also use the tool to see if they fall into the category of people who have to pay it back.